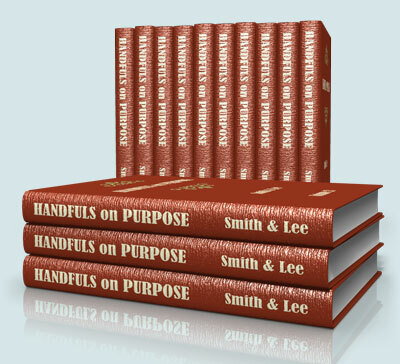 Handfuls on Purpose is a collection of illustrations, devotionals, and expository outlines. The series was published over the course of several years in 13 volumes (including index), with the final volumes published in 1943. The first 10 series were written by James Smith, and the remaining by Robert Lee. 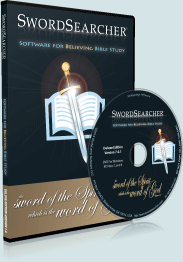 In SwordSearcher, the entire set can be instantly searched by key words, phrases, or verse index. The powerful Bible Margin can be configured to include links to relevant material in Handfuls right next to Bible text. THESE Handfuls have been sent out after much prayerful study of the Word in the hope that they might be helpful to some busy workers for the Master who may not have much leisure for study. In these days when there is so much to tempt us away from the simplicity of the Truth it is needful for us to have our own minds and hearts well fortified with the deep and powerful thoughts of God. Other facts and things may interest and amuse, but we must have the "sincere milk of the Word" if we are to grow. Everything that awakens and increases our appreciation of the Word of God is of immense value to our spiritual life, but our love for and delight in the Word will only be in proportion as we go on to experience its mighty power in our lives. We are convinced that the way to stir up and deepen the desires of others after Christ and the Scriptures is to present those God-given truths which meet the needs of an individual soul in all its various states and conditions. No book in all the world comes within a thousand miles of the Bible in this great and glorious mission, "Preach the Word." That there should be a growing demand from an ever-widening circle of interested workers for such plain spiritual teaching is hopeful and gratifying. "Points" and "Outlines" are but for the aid of the memory, and should be reckoned only of secondary importance. In preparing these notes we have earnestly endeavoured to get into the heart-thoughts of the Word, so that weary workers might find food for the strengthening of their tired and hungry hearts. We count it a great privilege and honour to be in this way a co-worker with any toiler in the Master's vineyard. If we can but help to sharpen another worker's weapons for the fight, or carry a cup of cold water to those who are bearing the burden and heat of the day, we will rejoice, and do rejoice. The late Sir Harry Veitch, the eminent Horticulturist, not only carried on his own great business, but was also interested in Christian work. As President of a flourishing Mission Hall in Chelsea, London, he had to give occasional addresses and Bible Readings, and having little time for preparation, and longing for some book assistance, sought the advice of the late Alfred Holness, who at once recommended "Handfuls on Purpose." Purchasing a copy, he found in it just the help he needed, so that he procured all the volumes then and subsequently issued, and took a real delight in recommending and presenting copies to others. These are days of whirl and rush, leaving little time for original study, hence the value to busy preachers of such Homiletical helps as "Handfuls." Then there are many who lack the creative faculty, and in consequence find it extremely difficult to get new addresses. Such can do wonders with just a bare outline. When the late Pastor Smith began the preparation of "Handfuls" he never imagined that so many volumes would be required to cover the Bible, and that he would not be spared to complete the task. Shortly after the issue of his last volume-Vol. X-he was called to higher service. When the Publishers requested me to prepare these, the concluding volumes, I viewed the task as a great privilege, yet a serious responsibility. Re-studying "Handfuls" in an effort to capture Pastor Smith's spirit and plan, I have prayerfully and carefully prepared these volumes. Living an exceedingly busy life, the preparation of these books has nevertheless been a task that has brought great blessing to my own soul. Though the preparation of these volumes has been accomplished amidst much other work, the actual studies it contains are the fruit of many years' study, the notes of which I had preserved. That fellow-workers in the Gospel might be helped in their own private studies, and in preparation for Gospel ministry by these volumes is the ardent prayer of the author. What an honour and privilege to be a helper of others!